First you need to decide what stage you’re at in your relationship with your partner, and what kind of experience that requires. Do you want a romantic Valentine’s Day experience, or do you want to take out a payday loan to find that special gift that’ll knock off his or her socks? 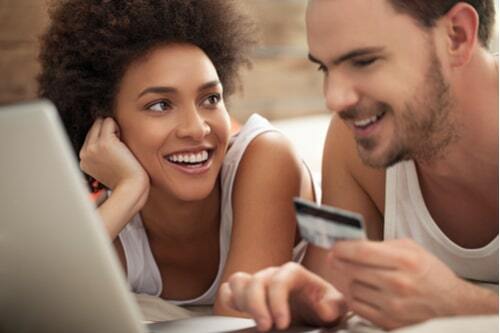 Does your partner prefer low-key over extravagance? And if not, how expensive are we talking? It’s like Christmas for couples, and you need to do it right, so what we’ll do is break some options down into three main categories (cheap, sort of cheap, and not cheap) for your Valentine’s Day celebrations this year. Let’s first go over some fun, less expensive Valentine’s options. Homemade Valentine’s gifts and gestures can be the most heartfelt, but they can also be the most work. Purchasing a gift takes money, but it doesn’t take nearly as much time and effort as using your own two hands and skills to create a thing or experience for your loved one that demonstrate your devotion and passion. When you celebrate this Valentine’s Day, why not let mother nature be your wingman? While not everyone enjoys the wonderful world of the outdoors, few activities are more physically stimulating and romantically-charged than an intimate moment shared in the majesty of nature. Going outside and enjoying nature costs you next to nothing, and a day spent strolling through a local park, hiking a trail, biking, or setting out a picnic can be the perfect romantic activity to share with the one you love. When you think of homemade gifts, the first thing that probably comes to mind is kid-friendly arts and crafts or kitschy, frilly things, but a handmade gift doesn’t have to be like that! If you can draw or paint, take the time to create a picture your significant other. For those with woodworking skills, maybe a jewelry box or hope chest is a good option, and if you’re a knitter, then an article of clothing could be a perfect choice. And even if you can’t sculpt or paint or knit, you can make a memory box filled with pictures and items you’ve shared in your relationship, or make a scrapbook for the same effect. We all have a little artist in us, and you shouldn’t be afraid to tap into your creative abilities to craft a truly unique and heartfelt Valentine’s gift for your loved one. 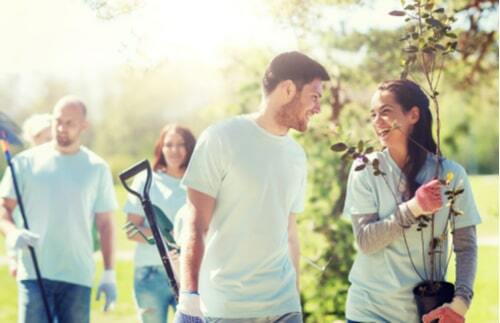 While it isn’t necessarily a glamorous activity, volunteering with your significant other is a great way of getting closer to them while helping others. You obviously shouldn’t just spring the idea of volunteering on your significant other if they’re expecting a romantic dinner for two instead, but broach the subject with them and see if they’re agreeable to it. The Thanksgiving and Christmas holidays are traditional times of great charitable outpouring from the community, but meeting the needs of the disadvantaged is urgent and important year-round. The month of February is the perfect time to help pick up some of the slack. Instead of volunteering for strangers, you could try celebrating Valentine’s Day by doing nice things for your significant other. Especially in long-term relationships, it’s the little things that matter: the dishes, walking the dog, or a backrub. Instead of simply giving them a bouquet of flowers, why not bring it to them with breakfast in bed? Doing little things like completely devoting your day to your significant other is a much more romantic proposal than simply spending money on them. All right, so you don’t want to be cheap when it comes to celebrating Valentine’s Day, but you also don’t want to go ham. There are a lot of middle-ground options for you to explore, and the first place you can start your search for the perfect gift is online. While you can go looking for bargains from store to store, it’s a whole lot easier and potentially cheaper to do so online. There are websites with a truly massive amount of options, such as Amazon or World Market, and if you already have an account wherever you’re looking, you might also get free shipping! There are unique places to shop such as ThinkGeek if you’re looking for a quirky gift, or homemade gifts from vendors on Etsy. The prices range for gifts on these sites, but you have the filter tool to keep it in your budget and narrow down results for your search. When you think of celebrating Valentine’s Day, you probably think of flowers, chocolates, or a fancy dinner, right? The classics are classic for a reason, and just because you don’t have a lot to spend doesn’t mean you can’t partake in the traditional side of gift-giving. Rather than buying a big arrangement or a bouquet of roses, tap into your inner minimalist and buy him or her a single rose and pair it with their favorite candy. As for dinner, you can pick a place you guys like to frequent in the cheaper range and combine it with a movie at home. Making the day sentimental and traditional can go a long way to making it special without all of bells and whistles. So you really want to celebrate this Valentine’s Day, huh? Cost is less important to you, and it’s more about finding that awesome gift or amazing experience that will really stun your partner—sounds like a good idea! If you need some extra financing, a payday loan could help you cover some of those extra expenses and make sure you meet the expectations you’ve laid for yourself. It’s not a bad idea to take a look into quick, extra cash that you need earlier than your next paycheck. If you’re looking for a romantic gift in the form of an object, then perhaps buy a perfume or cologne your partner has been wanting, but has not committed to purchasing themselves? People who love to smell good can never have too much of their signature scent! And while a ring might not be in the picture yet, a necklace, watch, earrings, or bracelet might not be amiss in your partner’s heart of hearts. Just make sure that whatever style of jewelry you decide to purchase matches the taste of the person you’re buying it for, as there’s nothing worse than receiving an expensive piece you’ll never want to wear. A payday loan might assist you in devising an amazing weekend away for your Valentine, depending on where you live and what is accessible. If you live in an area with beaches, you can book a hotel near the water and spend your time sun bathing and swimming, or if you live near scenic spaces like the mountains, you can book a stay at an Airbnb and create a cozy retreat with hiking and sight-seeing! Taking a mini-vacation tailored to your partner’s preferences will ensure that they have an unforgettable Valentine’s Day experience. Or, if you want to stay closer to home but still have a day of luxury, you can book a couple’s spa day and treat yourselves to champagne and Jacuzzi bubbles to match. At the end of a day of de-stressing and relaxation, you could even finish it off with dinner and drinks at a speakeasy or similar interesting eatery. Visiting your local breweries or scouring the online scene for unique and tasty beverages might also pair nicely with one of the cheaper options. If your honey likes honey, consider purchasing them a bottle of mead, or if they enjoy something more citrusy, try a cider—these drinks are often distinct and fun to try as they come in many different flavors. Wine, while fairly basic, can also be a lovely gift if you do a little research and find a delicious brand and year. While these items might not cost an arm and a leg, they certainly will cost a little more than your average budget, so taking out a payday loan to cover some extra expenses might be a good idea this February. Regardless of what you plan to do, plan ahead with enough time to get your ducks in a row. If you do plan on celebrating Valentine’s Day by spending some money, get an idea of your finances and begin organizing and budgeting so you can better afford the things you want, like a trendy night out. If you and your partner are pretty serious and are sharing a house or apartment, it might also be prudent to speak with them about expenses if you haven’t already, before spending any significant amount of money on romantic gestures. In the end, the most romantic gesture is communication and trust, so plan with your partner if you want to celebrate in style but cannot foot the bill.